Welcome to THE FURCHESTER HOTEL, an almost world-class establishment run by a tightly-knit family of cheerfully incompetent monsters. 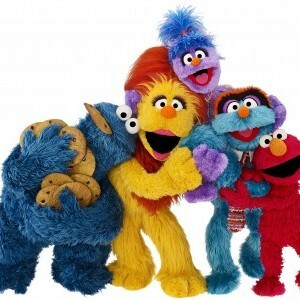 The proprietors are welcoming monster owner Funella Furchester; her dear and beleaguered husband, Furgus Fuzz; their daughter, the unflappable Phoebe Furchester-Fuzz; and Isabel, the furriest front-desk bell in the business. Elmo, Phoebe’s cousin, is on an extended visit and fascinated by all the hotel has to offer. Cookie Monster has landed his dream job as a room service and dining room waiter. The family will bend over backwards, forwards, and sideways (occasionally tipping over) to be sure the needs of every guest are met, because a Furchester never gives up! The hotel also gets a few special visits from familiar faces as the Count and Big Bird swing by!